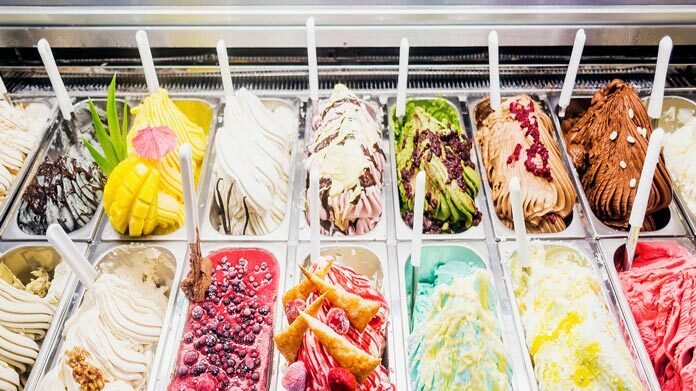 Our guide on starting an italian ice business covers all the essential information to help you decide if this business is a good match for you. Learn about the day-to-day activities of an italian ice business owner, the typical target market, growth potential, startup costs, legal considerations, and more! Italian ice is also regionally known as water ice and is a favorite summertime treat at fairs and festivals. Customers love to buy scoops from mobile carts, seasonal kiosks, and permanent storefronts. An Italian ice business is perfect for anyone who is looking for a mostly seasonal or part-time food business. The owner of an Italian ice business should enjoy working outside during hot weather. In addition, any water ice business owners who are planning to travel to fairs or festivals in other locations for work should feel comfortable pulling a trailer on the highway. What happens during a typical day at an italian ice business? After restocking an Italian Ice cart or dipping cabinet, the remainder of an operator's daily activities involves selling and scooping water ice. At the end of the day, the equipment needs to be cleaned and any leftover Italian ice needs proper storage. Children love Italian ice, but many adults buy scoops for themselves, too. This is especially true at festivals or other active outdoor activities when ice cream may be a little too heavy. 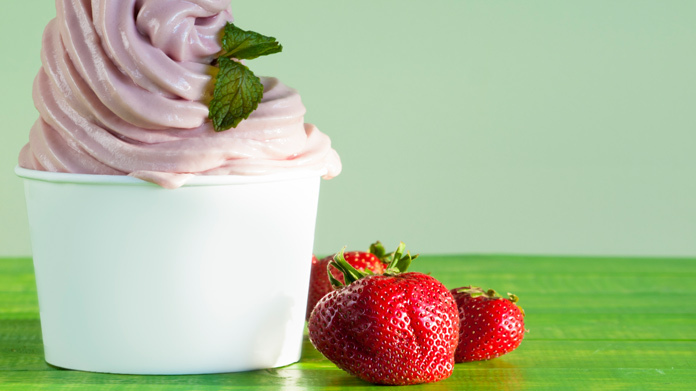 Italian ice has a perception among many customers as being a healthier alternative to other sweet snacks. How does an italian ice business make money? An Italian ice business earns money through selling scoops of Italian ice. What is the growth potential for an italian ice business? The easiest way to increase the growth potential for an Italian ice business is to extend the number of days the business is open. To successfully extend the season, mobile Italian ice businesses which operate in Northern states can head South to take part in festivals during the colder weather at home. Purchasing additional mobile vending units will also increase gross sales, but will lead to more expenses as well. What are some skills and experiences that will help you build a successful italian ice business? Besides basic business skills, Italian ice business owners should have some food experience. Most areas of the country require an operator of an Italian ice business to have a business license, a food handler's license, and for mobile businesses, a vending license. Past experience dealing with the various permitting agencies can speed up the process. Owners of an Italian ice business should love to interact with a wide variety of people and have great customer service skills. What are the costs involved in opening an italian ice business? Starting a small water ice vending business is inexpensive. Some types of Italian ice carts are available for less than a thousand dollars, and even top-of-the line carts are less than $4,000. The cost of buying wholesale water ice is also a lot less than the price for ice cream. The real cost of vending is obtaining the right permits and staying legal. In most cities, vendors need to belong to a commissary to obtain a vending license, and the rent for the use of the commissary is from several hundreds of dollars to thousands each month. Italian ice vendors who only operate at festivals usually can avoid the commissary charge, but will need to pay vendor fees directly to the festival organizers. All in, a mobile water ice vending business can cost less than $7,000. Opening a storefront to sell Italian ice is much more expensive. 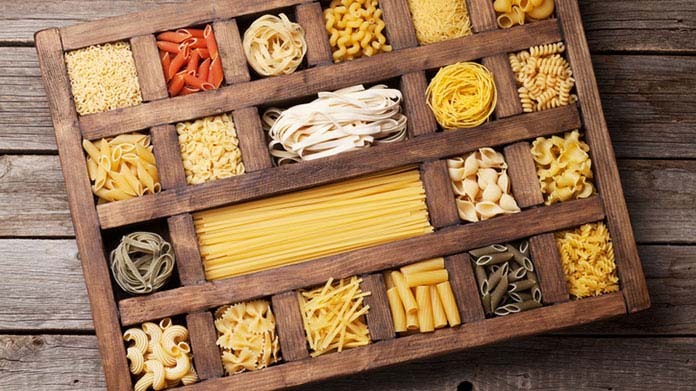 The cost of additional freezers, dipping cabinets, and other equipment is much more than a simple cart. In addition, owners of a storefront need to pay rent and utilities, even when the store is closed during the winter. Locating a storefront water ice business in a location which is warm throughout the entire year offers a better chance for success. What are the steps to start an italian ice business? Form a legal entity. Establishing a legal business entity prevents you from being personally liable if your italian ice business is sued. Open a business bank account. A dedicated checking account for your italian ice business keeps your finances organized and makes your business appear more professional to your customers. What are some insider tips for jump starting an italian ice business? A great idea to jump start a water ice business while reducing expenses is to partner with an existing business. Many businesses attract large numbers of young people throughout the year like indoor playground and arcades. These businesses may allow a water ice cart to set up permanently inside for a cheap rent or a small percentage of sales. Business owners who want to sell name-brand Italian ice and step into a fully tested system should consider a franchise opportunity. Many water ice franchises are available online with prices to meet almost any budget. The best promotion method for a water ice business is to just show up where the customs already are located and offer free samples. Customers usually purchase an Italian ice without planning, so investing in advertisements is not the best use of resources. On the other hand, Italian ice shops with a permanent location need to heavily advertise throughout the season to drive business in the door. 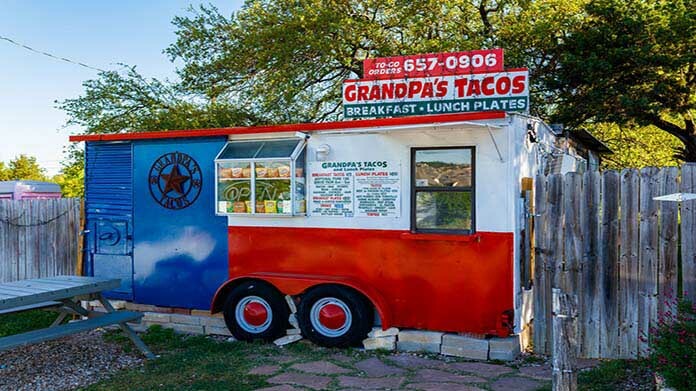 A well-known brand combined with a good location is usually enough to attract customers, especially if it is a mobile vending cart. To keep customers coming back to brick and mortar storefront, owners need to create a child-focused and exceptionally fun experience. Loyalty programs and other specials, like limited-time flavors, will keep customers coming through the door. Italian ice shops should remember to send out a flyer to past customers to remind them when they are planning to reopen for the season. 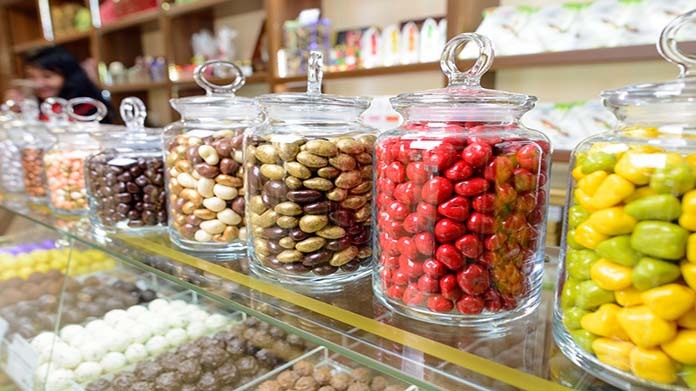 Small vending businesses usually do not need additional employees, but for storefronts, it is important to have a good team from the start. Employees who work in this type of business are generally students or others looking for short-term jobs and do not earn much more than minimum wage. Certain state permits and licenses may be needed to operate an Italian ice business. Learn more about licensing requirements in your state by visiting SBA’s reference to state licenses and permits. An Italian ice business is generally run out of a storefront. Businesses operating out of a physical location typically require a Certificate of Occupancy (CO). A CO confirms that all building codes, zoning laws and government regulations have been met. Before leasing, confirm that your landlord has or can obtain a valid CO that is applicable to an Italian ice business. 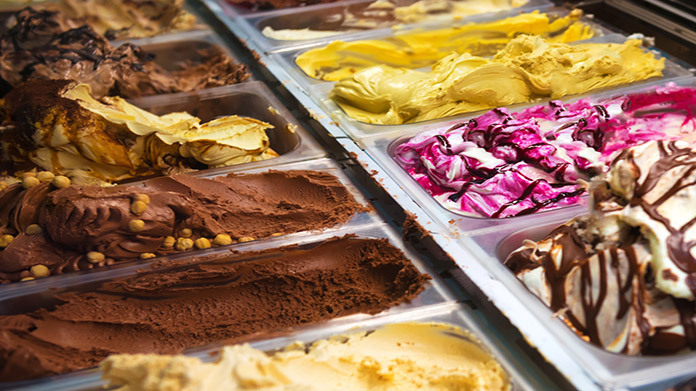 Review all building codes and zoning requirements for your business’ location to ensure your Italian ice business will be in compliance and able to obtain a CO.
Prices for a scoop of water ice is usually the same as the average price for a scoop of ice cream. Many vendors sell a single scoop in a cup for two to three dollars. What are the ongoing expenses for an italian ice business? The ongoing expenses include rent or commissary charges, restocking, and fees for festivals and labor. How much profit can an italian ice business make? A small scoop of water ice in a cup with a spoon costs around 35 cents to make and will sell well for two dollars. That is almost 600% profit! Italian ice has a long shelf-life if frozen, and it is rare to lose money through spoilage. 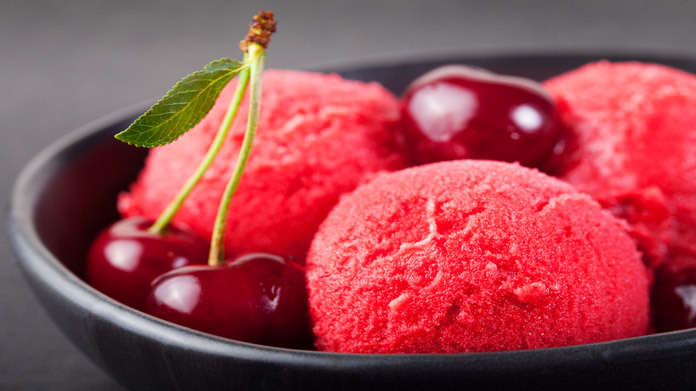 Combining an Italian ice business with other food businesses which are popular throughout the year helps to reduce the risk of poor weather forcing a business to close. Food businesses like soft pretzels, roasted nuts, smoothies, and cookies are great options for adding to a water ice menu.